The original Russian version of Everyday Saints and Other Stories by Archimandrite Tikhon (Shevkunov) has won Russia’s highly prestigious “Big Book” literary award for the most popular book. The award ceremony took place on Tuesday, November 27 in Moscow. Readers in Russia were invited to vote for their favorite book out of fourteen finalists on the website, Bookmate. The readers were given an opportunity to freely access the text of the book on the site and read it before they entered their vote. There were two first place awards given by “Big Book”—one determined by a jury, the other by popular vote. The jury chose My Lieutenant, a World War II novel by Daniel Graninu, while an overwhelming majority of readers chose the book of stories by the Abbot of Moscow’s Sretensky Monastery, Archimandrite Tikhon (Shevkunov). This is the second major award earned by Everyday Saints in 2012. In September, it won the “Book of the Year Award” for best prose, also by a wide margin. The book became a runaway bestseller from the time of its release in late 2011, with over a million copies sold. 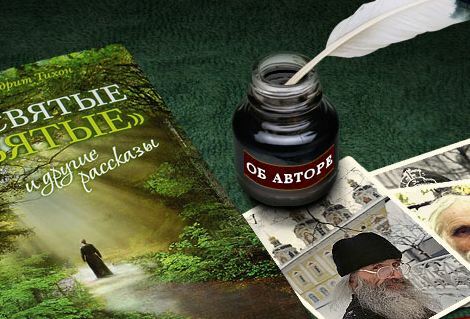 Just a week before the “Big Book” laureates were announced, Archimandrite Tikhon in an online conference stirred even greater enthusiasm among his readers when he confessed that he would not be against writing a sequel. The English version of Everyday Saints was released on October 1, 2012 by Pokrov Publications.